Which Meter Drive is Right For You? Advances in planter technologies have dramatically changed metering drives through the years. 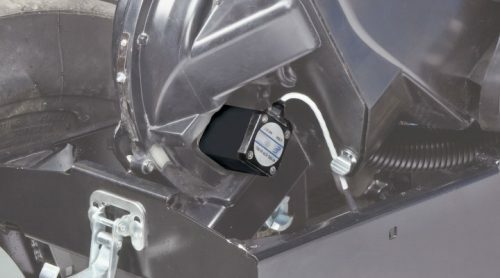 Today’s planters can be equipped with anything from a simple ground contact drive to a state-of-the-art electric drive completely controlled by GPS. So which one is best for your planter? Kinze provides options for what meter drive is best suited to maximize yield performance on each farmer’s operation. In 2013, Kinze provided the industry-first electric drive on the model 4900 planter. The electric drive on this innovative planter allows control of each row. Seed populations are fully adjustable as set up on a prescription map to minimize seed costs and maximize yields. Maintenance is simpler, since there are no drive shafts, chains, clutches or gearboxes. In 2018 Kinze introduced the next generation Blue DriveTM electric drive system controlled by the Blue VantageTM display. When going through waterways and entering headlands, each row unit can be turned on and off as needed to stop the flow of seed. 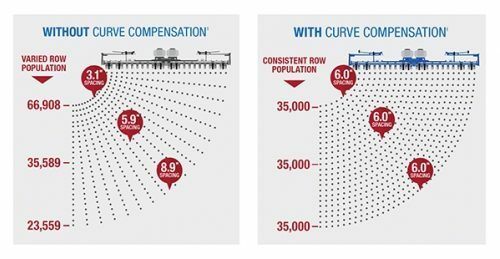 In addition, electric meter drive provides a capability that no other drive can: curve compensation. When planting on curves with shaft driven meters, the inside rows have seed spacing that is too close, while the outside rows have seeds that are too far apart. With curve compensation and electric drive, every row across the width of the planter has the same seed spacing for maximum yields. While in development since the 1990s, hydraulic meter drives did not come into popularity until approximately 2005. 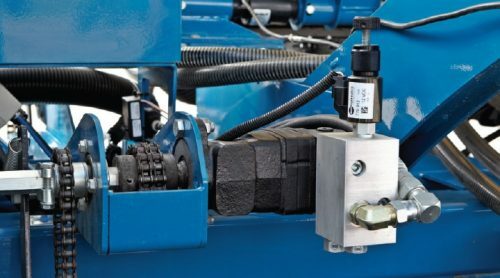 With the adoption of GPS for agricultural applications and increased precision farming practices, hydraulic meter drives are now providing the necessary variable population rate control utilizing prescription mapping. 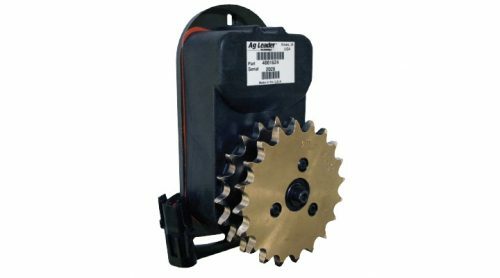 This drive system is ideal for variable seed rate prescriptions and allow farmers to change rates on-the-go from the seat of their tractor. Kinze has offered the hydraulic meter drive for many years it is currently available with the 4900, 3700, 3660 and 3600 model planters. Check-row planting remained popular until the late 1940s. But as research began proving that spaced kernels produced greater yields than hill-dropped corn, the growing use of corn pickers required equally spaced stalks to work effectively. And, as chemical weed control was being introduced, ground drive systems with adjustable rate transmissions became increasingly popular. This method for driving the meter and controlling seed populations has remained popular for many years. Modern ground contact drive systems are accurate, dependable, and easily adjustable for different populations. There are no clutches and no chains to remove for transport. 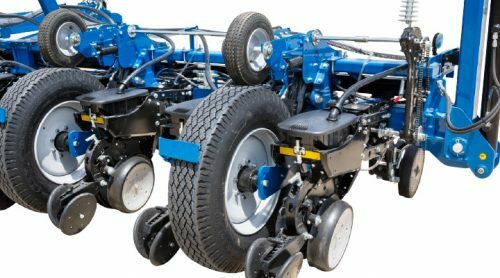 This drive system utilizes spring-loaded tires for operation and is available on all planter models except the 3660. When ground contact and hydraulic drive are combined with SureStop™ electric row unit clutches, farmers can save on seed and increase yields by reducing over-planting when operating in irregularly shaped fields. You can control up to 36 rows, in two or three row sections. You can stop seed flow by turning off seed meters (and planter sections) based on field mapping and previously planted areas. To learn more and find the right meter drive for your operation, visit your Kinze dealer.